Install only the needed applications: You may often receive emails and messages which insist you to download the unwanted applications. If you touch the given URL, it will send plenty of malware and virus in your mobile phones. So avoid downloading applications from unknown sources and stop visiting unprotected websites. Choose only Google play for all application download: The Google play store has all the needed applications for android, the users can install the applications from it or they can choose any reputable, high standard app stores. This option will prevent malware and spyware from your valuable Smartphones. Enable settings to prevent installing applications from unknown sources: The settings of the android mobile phone have the option to disable the app installation from other unverified sources. And it also has an option to enable the verification of apps that are installed by harmful sources. By choosing those options, you will receive a notification before every app installation from other unverified sources. 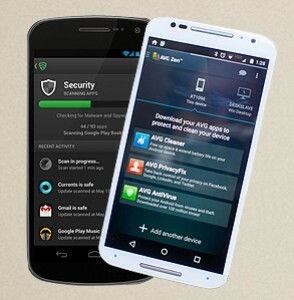 Download antivirus for extra protection: Many best antivirus are available in Google play store, download the best suitable one for your Smartphone. Some of the recommended antiviruses are CM security, avast, bit defender, AVG antivirus and etc. Check the application permissions: The applications from Google play and from external sources will have declared permissions for its access. For example, some applications will have permission to access the camera or call facility. So find the declared permission for the installed applications and secure your mobile phones. Install antivirus: Antivirus protection will prevent and remove malware and viruses from the mobile phone. The best antiviruses for iPhone are a lookout, MacAfee, virus barrier, Norton and etc. Update all the installed applications: The iPhone will provide many useful updates for its operating system, by installing those updates you will get additional required features in your mobile phone. For example: In iPhone 7 version, apple had introduced a best security feature that will prevent hackers to access the mobile phone. The update option is present in the settings menu of your apple handsets. Security lock is important: Having a security lock to operate the phone and to access individual application will prevent the usage of outsiders and will also protect your Smartphones from malware and virus. Download applications from the app store: Many unverified online sources will insist you to download its applications, but if you install those apps it will spread virus and malware in your Smartphone. Installing apps only from an apple store and from trusted sources will prevent malware and protect your valuable Smartphone. Store the secret information in external storage devices: People used to store sensitive information in their mobile phones but these files are prone to fraudulent users, so always secure those files in external hardware and virus free pen drives.